Today is the start of the third and last week of my 5-year blog birthaversary! I'm blown away by how many of you have enthusiastically joined in the celebrations and I've loved seeing and pinning your remarkable creations! Thank you! If you would like to see week one of the celebrations (NBUS Challenge #8) and the gallery, click here; for week two (NBUS Challenge #9), click here. The basic idea of this challenge is evident in the name. You are to use schtuff never before used (virginal) on your creation. It can be something you've had for years or something you got yesterday. For the history of NBUS and to see prior challenges, please see the tab above or click HERE. 🔹Please use a NBUS item and share what it is. 🔹Please follow using the blue "Follow" button on the side bar. 🔹Please only enter this challenge three times with new work only. 🔹Please only enter four other challenges, for a total of five, including this one. 🔹Please mention the NBUS Challenge and link your post back here. 🔹Please leave encouraging comments on each other's creations. 🔹Please click HERE for how you enter if you don't have a blog. Note: These are all NEW prizes for this week's challenge! I will hold three separate drawings for each of the three NBUS Challenges. Winners of ALL THREE challenges will be published on February 13, 2017. These prizes are open to participants from all over the world who enter their creation in the gallery. Important: In your comment (or after your name in the gallery when you link up), please indicate which of the prizes you would like to win by including the alpha letter(s) shown above after the name of the prize. If you have no preference, please indicate [ANY]. To be fair, for the non-gift certificate items, please don't request them if you already own them or something substantially similar. If you do not make an indication of your preference, I will assume that you do not want to be included in the drawing for a prize. This week I have to explain my optional theme before I show you my card. There is only one optional theme for this challenge and credit for the idea goes to my friend Harriet. I mentioned to her that I was trying to think of unique themes and she suggested that I check and see what today's "National Day of . . ." was. You know how there is always something being celebrated every day of the year, like National Day of the Hot Dog, or National Day of Celebrating Corduroy, or National Day of Hippopotamus Toenails, etc..
Well, I did check and, by golly, I found something! Today is "National Bubble Wrap Appreciation Day!" c) check and see what "National Day" is being celebrated on the day you make something for the challenge. To find out what is being celebrated each day throughout the week-long challenge, just click here for the days of January and here for the days of February. Remember, the theme is OPTIONAL. I cut a piece of bubble wrap and randomly dropped drops of alcoholic inks. I've never seen this done before, but it prolly has been. It was really fun! I didn't try it with reinkers or other liquid inks, but I can't wait to see the results if you try it! As I dropped inks, I stopped after every few additions of ink and took a piece of glossy card and placed it upside down (glossy side down) onto the bubble wrap. Then I placed my large acrylic block on top of the piece of card and gently but firmly pressed the card into the bubble wrap for a couple of seconds. Bubble wrap smooching, if you will! Then I lifted the card, set it aside, and kept going, applying more drops of different colors, and repeating the process. Ten minutes later and I had the makings for several cards! And here are the finished cards! I happened to have a piece of acetate on my desk at the time and I held it over the glossy inked paper and I loved the extra shine from the acetate. So I used my NBUS MFT Die-Namics "Stitched Rectangle Frame" die to finish the design. Each card looks like a framed photo under glass which is pretty darn cool, if I do say so me wee self. The horizontal card shown above was one of the last presses (smooches) I did and for that I used a piece of nonglossy card stock just to see how it would do. It did great, but I like the bubble wrap effect better on the glossy paper. The NBUS sediment on the horizontal card is "Label Tape," also from MFT. The "Celebrate" sediment on the vertical cards is also NBUS and it's from PTI's "Bold and Beautiful Sentiments" stamp set. When I was finished and I started to clean up, Hammy threw a carrot carat at my head and said, "Hold on there, Missy. Don't you think the bubble wrap itself is the prettiest part of this whole Rigguma Roll?" As usual, he was right! The photos don't really capture how brilliant and shiny the bubble wrap is, but each circle looks like a tiny brightly colored glass marble in real life! I taped the bubble wrap to a snippet of card and then framed it with foam and set it aside. I next taped a snippet of acetate behind the front card opening and then sandwiched the two together like you would do for a shaker card and applied the die-cut words from Winnie & Walter. As always, thank you for coming by to visit the Playhouse. Thank you very much for participating in these NBUS Challenges and for being incredible friends and followers and supporters! Your friendship and your encouraging comments keep me going! MWAH! If you have any questions, please use the contact form on the right or email darnell dot knauss at gmail dot com. And, remember, if you want to be in the drawing for a prize, please make sure to let me know which prize you want and your email address! Edited to add: My surgery went well! I'm pretty much sleeping if off and the stitches are still angry, but every day is a huge improvement over the day before. (I can add that being on pain pills does not improve one's pygint skills!) THANK YOU with all my heart for all your emails, comments, and cards! MWAH! OH MY GOODNESS, Darnell!!! Your creations are GORGEOUS!!! Every single one of them is just beautiful and colorful and AWESOME! I don't have any alcohol inks, but I will have to give this a try with regular old reinkers. Bubble wrap....whoever woulda thunk it?!! Just amazing. SO very glad you are feeling better day be day. Continued thoughts and prayers for a complete and quick recovery!! Please put my name in the hat for the (GCs) (SP) and (Z). Thank you for your generous prizes. So glad the surgery went well. Now I hope Hammy is making sure you rest and let those stitches heal, and supplying you with regular hot beverages to keep your spirits up! Glad the surgery went well, and you are on road to recovery. All your cards are awesome Darnell, you got some great textures and inking done. So glad that all went well! Now all that is to do is give your body time to heel...but that takes patient...Hope the pain is gone after the painkillers are gone too! Super idea the theme this hallenge and I really think it is great that you not only used the bubble wrap to stamp, but also on the cards! Oh my, your bubble wrap creations look amazing, Darnell! And a fun technique to boot. Cannot wait to give this a go, while I still have my AIs out. Still haven't tried the bokeh look either. Happy to hear your surgery went well. Make sure you take plenty of rest so that you can make a speedy recovery. And don't go shopping online for new supplies. You don't want a relapse! Sending healing vibrations your way, and a big hug! Someone's been having a fun time! Glad your surgery went off OK and hope you're soon back to your bubbly self. How are you feeling matey? Not too uncomfortable I hope. Darnell this is such a beautiful project. So pleased everything went well with your surgery. Hope you'll soon be up and about. Love your cards, the colours are so striking. Who would have thought that bubble wrap could make such brilliant designs! Hi there, Glad surgery went well and you are recovering. That bubble wrap idea is brilliant - just love how the inks look on the bubble wrap itself. Hammy is truly a genius!!!! Wow, your cards turned out wonderfully Darnell, I'll have to hunt out some bubble wrap and give it a try. Glad to hear your surgery went well, rest up and sleep much. Prize draw choices this week are M and Z. So happy to see you, Darnell, and to hear that your surgery went well. Yes!!! Your third NBUS challenge sounds like so much fun! 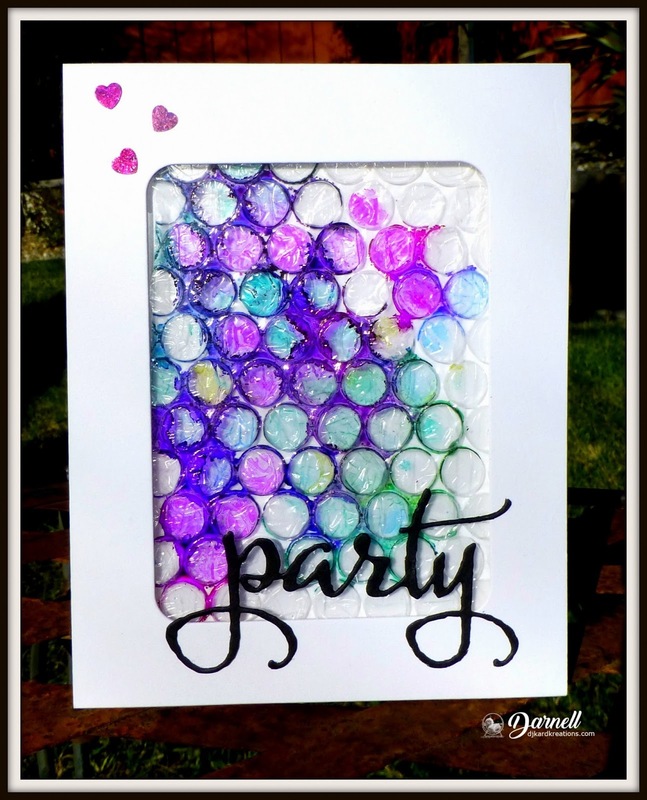 What you did with the bubble wrap is brilliant and your cards look amazing! Oh how I wish I could participate, but the fates are not with me so far in 2017 with regard to crafting. But it's fun to see what you've been up to, that is for sure! Take care and hope the rest of your recovery is smooth! Hugs! Happy to hear your surgery went well! Your cards are gorgeous! Love the technique! Oh, wow! The bubble wrap idea is so unique and the resulting cards are really pretty--but Hammy's right, the wrap itself is the prettiest of all! So clever of you to figure out how to use it in not one, but two really awesome cards! Happy to read that your surgery went well and that now you are recovering ! Take it slowly but surely ! Take good care of yourself and thank you for this new awesome challenge ! So glad to hear the operation went well Darnell and I hope you're resting and taking things steady. Wow!!!!! What a great project and creativity!!! It's so good to hear from you and that your surgery was successful. Still sending love and prayers. These cards are just beautiful and so clever. The bubble wrap ones are my favorite. What a fun idea. Love the bubble wrap. It actually came out pretty dadgummed good. So glad to hear that your surgery went well and that each day is getting better. So, no, pain pills wouldn't be a good helper with pygint! Ha Ha! So glad you are doing better and that you were able to give us an update. The bubble wrap is amazing and the cards you made spectacular. That is quite a bit of super lovely inspiration. Now if I can only find some bubble wrap...I have one piece with huge bubbles not sure that will work...hmmmm....hugs hon, keep healing. Hi, Darnell! I am so glad that your surgery went well. Please do take it easy as you recover. These cards are really, really cool! I believe I have some bubble wrap in the garage. I'll be digging around today to find it. I only have some reinkers, no alcohol inks. I love these challenges you've put together. Thank you so much for inspiring me to try different techniques. I'd love to have the Zig pens if I win. Take care! These are pure genius and stunning to look at!!! Really? A national bubble wrap day??? Who knew? I am pretty sure you created a technique! What gorgeous cards! We will all be busy making cards, but I think you ought to rest and get well soon! Wow!! Sooooo creative cards!! Fabulous all! And Hammy said so well, that plastic wrap deseved a place in your cards! 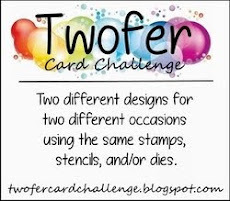 You have made a fab work with it on your two last cards! Well these are fantastic and your idea genius! I am sure you have now started a new trend! Bubble wrapping smooches! Thank you so much for all thse challenges. I would love to win (Z) prize! Fabulous cards and I must rummage for some bubble wrap to give the optional theme a go! I would love a chance to win the Mini Misti, please. Brilliant and beautiful and so darn fun! I do love that you finished up with the bubble wrap, itself. It reminds me of sea glass. I would love to try some version of this. Happy healing, Darnell! Oh, Darnell, I think you have started something here that is going to become a very popular new technique!!!! Your cards look fabulous - love the idea to use the acetate overlay and the 'celebrate' stamp is simply great!!!! Wonderfully done, my friend!!!! So happy for you to hear that you are doing better each day!!!! Bubble wrap appreciation day - who knew? Funny. Great way to have a bit of fun playing around. Awesome cards! Cool looking technique and looks like fun too. Love your gorgeous cards. So thankful you're on the road to recovery now. Wow, Darnell, you are so creative. I would never have thought about actually using bubble wrap to create something. Beautiful cards. Glad to hear your surgery went well and recovering is going well too. There is such thing as bubble wrap appreciation day? I learn something new every day! Very clever to use it on your cards. They turned out beautifully. Im glad the surgery went well! Wishing you a speedy recovery! Card making is so much fun, just a piece of paper and you can create something with nothing or everything, it's all up to your imagination. Cool bubble wrap designs! What an awesome technique, my friend! I just happen to have some bubble wrap. Now to decide which NBUS to use with it. Having too much NBUS makes for a harder decision on which to use! BTW, I love the inked bubble wrap! Oh wow Darnell, these are just awesome! Who knew bubble wrap could be so pretty!!! The way you used it in your cards is something I never would've thought of! All of them are so pretty!!! So glad you are on the mend! Prayers the pain will ease and you will have a speedy recovery! Hugs! D I have seen someone, somehow, somewhere - maybe over the rainbow?! use bubble wrap to ink a card ... 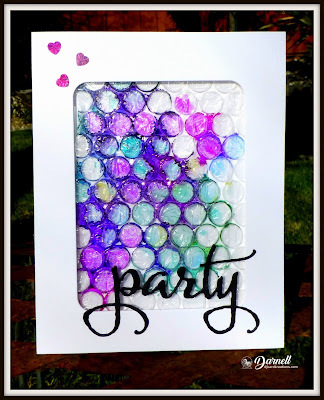 I'm thinking it was NOT with alcohol inks, however! I'm giving this technique to YOU, my friend. LOve every stinking inking ... and Hammy had it right as usual - the framed wrap was a must! If I find myself with a little bubble wrap, I'm definitely giving it a go - if I'm so lucky to have the wheel hand me a fortune, I'd love one of the gift cards - a girl cannot have enough schtuff! oh I am so glad all went well with your surgery. You take it easy for a while if you can. I bet Hammy was glad to have you back home. 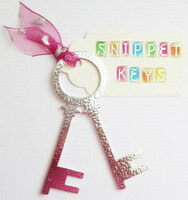 I am definetly not going to jump about when my crafty stuff arrives if that's what might happen. LOL. Love your wonderful cards as I popped for a look this morning, and had a play this afternoon. Such a very wonderful technique, and your cards are really excellent as usual. The colours are so very lovely too. Hope you like my version as I don't have any alcohol inks so I used Pixie Powders, and Gilding Polish on mine. Wow! Darnell your cards are just gorgeous! What a brilliant idea! I love how you framed each of your masterpieces & the colours are beautiful! So glad your surgery went well & I sincerely hope you have a speedy recovery. Oh wow, I love the effect of your bubble wrap print, I'm definitely going to give that a go! It would be a good stress relief card to receive too! Glad to hear your surgery went well - I did laugh at your description of everything heading south, all the joys of getting older .... on my 45th birthday a few years back I got vari-focal glasses and HRT meds ON THE SAME DAY!!!! Now that's just not right! These are fabulous. Wishing you a speedy recovery. Hope you are feeling better! I love your gorgeous cards! Bubble wrap is a staple in my craft basket. Added my card! Thanks for the opportunity to win. I would be happy with any prize. Thanks for the update, so pleased that things went well and that you are improving as each day passes. Super duper cards, fantastic colours and who would have thought bubble wrap could look so good. Sending hugs from MN, my friend! So happy to hear you are doing OK. I'll keep sending good thoughts your way. Thanks for letting us know. About your and Hazel's idea...bubble wrap sounds like a lot of fun to use. Your cards are wonderful. Now to find some alcohol ink. Maybe some NBUS coming my way? Darnell, The only thing I love more than your cards is hearing that surgery went well! Who knew something like bubble wrap could become such an incredible card element! These are marvelous Darnell!! Fabulous work Darnell! I love each one of your bubbly cards - so vibrant as well! I'm playing for the Zig pens please (Z) - but most of all for the fun of course! Delighted to hear you're home and recovering! Mwah! So glad to hear that everything went well and you are feeling a little better every day! Your cards are superbe! My favorites are the last two with the actual bubble wrap! Genius! Hi Darnell! Happy Blogaversary! Glad to hear all is well following surgery. Nothing gets you down. I love what you have done with the alcohol ink and bubble wrap. I am itching to try this now! Thanks for the new challenge and for the opportunity to win a fabby prize. Am pretty sure you have just started a new trendy. Your cards are the bomb! Especially like the idea of adding the acetate to the frame. And using the actual bubble wrap on a card...GENIUS! You and Hammy make a great pair!! I am sooo glad to hear that the surgery is behind you and you are now on the mend. Take is easy and do not push yourself and you will be back to normal in no time at all. I absolutely love your bubble wrap techniques and cards and will definitely be trying that out because your cards are gorgeous!! I would be interested in any of the prizes this week but if I had to choose I would love the Zig color pens...I have been wanting to check those out. What a terrifically fun, fantastic and amazing challenge! I LOVE the bubble aspect, and your use of bubble wrap is amazing! Kudos to you, Darnell! Praying for a quick recovery! Awsume to hear that you are recovering well from the surgery - ah yes, those pain killers - fun - well if you don't mind your head in orbit!! Love your fantabulous cards Darnell - a great technique and wonderful results! Wow!!! That bubble wrap technique looks like so much fun and the actual bubble wrap with all the ink on it is so pretty that I think I'd have to frame that as well. I'll try to get around to going for the bubble look later this week but did manage to squeeze in a card when my Mom came to visit for the weekend. Thanks for the chance to win prizes, and for giving me so many creative ideas for cards. 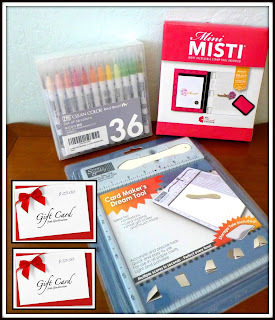 I would like to be in the draw for the GC's, or the Mini-Misti (M). So glad to hear the surgery went well and that you're recovering nicely. I am so glad your surgery went well! And I LOVE these cards you made-have to try out using bubble wrap paper!! So glad you're starting to feel better! Absolutely stunning cards! I'm so sorry I've not had time to play in any of your challenges, but you've definitely inspired me for future makes, and I will of course credit you whenever they get posted. So glad your surgery went well. Wow! These are super AWESOME, Darnell! Love! Wow, Darnell, bubble wrap masterpieces! You just took smooshing to a whole new level of fun! I so wish I could follow more often and keep up with the fun and not-so-fun (surgery). I hope your recovery continues to go well! And WHOOOOSH! I'm back to comment again now I've entered. I had my card all planned in advance but was so inspired by your bubble wrap marvels that I had to tear up the blueprint and find myself an unpopped piece to play with (try saying that after a couple of wine gums). Hi Darnell! Sure hope you are healing quickly. Be good to you! Thanks for making me think a wee bit to create my entry. My brain was getting a bit mushy. This was great fun! Sorry, it is me again... I just realized I was to tell you if interested in a prize. I would love a GC or the markers if I were lucky enough. Thanks for all you do. I never used bubblewrap, but by seeing this: I am totally flabbergasted and just have to give it a try!! But unfortunally I will be away for some days, so it won't be ready to join the challenge. So I am in with another card today and will showcase the 'bubbles' another day, that's for sure! this was so fun challenge! You taught me few new techniques. Ifmy name will be draw as winner I would like prize 4 or 5.
and your cards are stunning! love what you did with bubble wrap! First off, I am so happy to hear the surgery went well, Darnell. Take care dear friend and DO NOT OVERDO until the doc gives you the "go-ahead and start jumping again now"! I am also very pleased to find you again!! Love the bubblewrap idea and will have to have a go before the end of this challenge - wouls love to win any of your super prizes! What a fabulous technique. Love the cards you created. So many possibilities :) My kiddos go back to school in a few days so fingers crossed I get a chancet to play. What a cool technique!!! Your cards are fabulous! Glad to hear your surgery went well and that you're feeling better and better with each new day! Have a great week! The bubble cards are SO fun! I tried this once long ago...forgot all about until now. I'm thrilled that your surgery went well and that each day is getting better. I'll continue praying for you. :) And I am super excited to get to link up again. I love your prizes this week, but I have them, so a gift card would be great. Sending lots of love and get well wishes! So glad to see your surgery went well and that you are now on the healing end of things. Don't overdo it. And, I must apologize as I was not able to comment on very many entries as my computer was in the shop. Got it back today so I will try to visit a few of the entries this time. I knew about the bubble wrap day and wanted to make a card! You beat me to it!!! But you'll bet I am going to play along!!!! 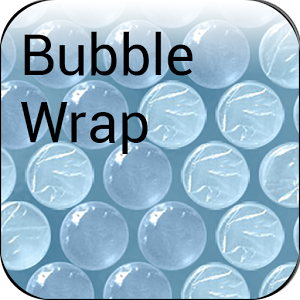 Darnell, awesome challenge, you won't believe this but I've had my bubble wrap for ages meaning to use it. So glad it's national bubble wrap day my bubble wrap might be still on my crafting shelf :). Thank you so much for yet another NBUS challenge - this is such FUN!! If I'm one of the lucky winners, I'll GLADLY take one of the GC's. You're so generous and sweet! And also the funniest person I know in blogland. Oh, and I LOVE your bubble wrap cards!! What a great idea, thank you for sharing. I'll give it a try. Hope you get better soon. BIG HUG! Me again Darnell - I have entered now, and I just want to say that I am interested in al the prizes EXCEPT the Misti. I see, that the surgery was succesfull and I am so glad for you! I wish you a real quick recovery!! I forgot to tell that I am interested in all prizes except the scoring tool! Love the bubble wrap cards, have used it before, so didn't use it as a NBUS technique. Love your cards and those large greetings are really cool. Had huge chuckle on those "days" list ... don't think my sister would like her birthday to be national toothache day!!!! What a crack up!!! Happy to read that you feel better! I'm with Hammy on this one, Darnell. The actual bubblewrap cards are super duper. The others aren't half bad either. :D This was such a great idea and I have some time today so if I have some bubble wrap - wait I just found some - I will be trying out the smooshing. I don't know what with since I don't have alcoohol inks or reinkers but I'll figure it out. Okay pal....this rockets you into the 'waaaaaaay out there' fabulous zone of our universe cuz not only is it one heck of an incredible idea, but the results are also 'out of this world' amazing! You and Hammie make such a good pair! The cards are all amazing and beyond FUN! Just like you!!! The cards with the 'for real' wrap ROCK!!! Such a crazy and fun idea! You never cease to amaze me with your creativity and your writing! I enjoyed you post today! Happy to hear you are doing well! WOWZA!! Your bubble wrapped cards are AMAZING!! I LOVE the colors that you used. I have used this on a scrapbook page but never on a card. Might have to dig out some bubble wrap and play. I am SO GLAD that you used the bubble wrap on a card too. I saw it sitting there on your desk in the photo and was excited when I saw that you used it. It looks SO COOL!!! Great creations!! And if I won, I would want a GC. I have all the other things already!! Oh, I am definitely going to have to dig around and find some bubble wrap so I can try your technique. The results are GORGEOUS and so artsy!!! I managed to make a card today, but not to try the optional technique challenge, but that's next on my list. Thank you for another week of celebration and giveaways. I would like to be tossed in the hat for either the Mini Misti (M), any of the GC's, or the Color Markers (Z). Thanks for your generosity, and I'm glad to hear that you're recovering from you surgery. Fabulous challenge and super prizes - got my eye on those zig markers if I'm lucky enough to win. I love your bubble wrap samples--so bright, bold and cheery. Thanks so much for the very generous prize offerings! It's so fun to anticipate winning those Zig markers! Best wishes for your improved health. Gosh late to the game here again! Suffering from a shoulder strain so no crafting for me for a long time...thank goodness DT cards done for a bit. Tying with one hand not fun! Still I am so pleased your surgery went well and you are recovering-rest plenty and have lots of chill time. I love this look, kind of like brushos. I adore you went with these colours and using the actual bubbly wrap for a card is so creative. I haven't been able to play with bubble wrap yet but I get butterflies just thinking about it! I'll share this NBUS instead. I'm glad you're surgery went well and I hope that you are feeling much better by now. No jumping!!! Thank you for another awesome NBUS challenge, Darnell! Your bubble wrap technique looks like fun! Your cards are amazing! I just used up my stash of bubble wrap when I sent in my cards for the children's charity! I guess I need to place an order to get some more bubble wrap haha! Happy to read your surgery went well and that you're doing okay! May you continue to improve each day! Now I'm just lookinag at your list of prizes! Wowzers! You are incredibly generous, Darnell! I would be delighted to win! Please include me for #1, #2 (GCs) and #4 (Mini MISTI). THANK YOU so much! Hope you're having a good day today! Darnell, I just LOVE your NBUS challenges, and they have really made me mindful of digging into my stash and using SCHTUFF I have and never opened or shown the light of day. Happy Blogaversary, and so happy you are recovering nicely from your surgery. The bubble wrap thing is genius, and though I entered a card without the option, I am hopng to get to play with it over the next few days. Thanks for the inspiration on that one.Your offeres are wonderful - if by miracle my name was drawn, I'd love a gift card. I own a large and small MISTI (so wish I had invented it) and lot of Zigs. Have a delicious day! Such fun cards using the bubble wrap! Glad you are on the mend. If I am lucky enough to be chosen for a prize, I would be happy with either [GC] or [Z]. Thanks for the chance! oo, darnel, your challenge is such a fun and your cards are simply amazing! happy to hear that your surgery went well and that you are okay. Thank you for your prizes, you are so generous again, I would like to win a gift card (GC), please. So happy to hear your surgery went well, Darnell, and you're on the mend. Love this fun challenge. Unfortunately, I always pop my bubble wrap, otherwise I would give your technique a try. Love your set of cards especially the colours you used. Great card made with it also great challenge. Love all the cards . Hi Darnell!! Long time no see and long time no visit (*hangs head in shame*). I have been gone so long that I have no idea what happened, but I'm glad to hear your surgery went well and I hope that you are continuing to improve by leaps and bounds each day! I made this card the other night and smiled because I thought of you when I pulled out my stencil and realized it was a NBUS. I thought "Self! 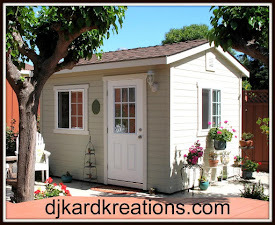 you must stop by Darnell's blog and see what she is up to." Much to my surprise, I realized you had a NBUS challenge going so I figured why not enter? 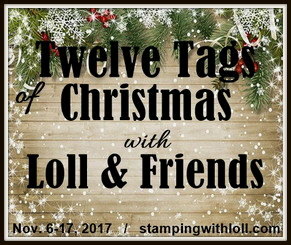 You rock, as always and I'm tickled pink to see how many people are participating! You are truly the Queen of NBUS and encouragement. I think you should call your awards OBNUSE (Order of the NBUS Empire) and have a fancy logo with a mountain and a stamper standing at the top wearing a sash. Last, but not least, your cards are just gorgeous!! I love how you used the bubble wrap to "stamp" and actually used it in your cards as well. You and Hammy are clever! I will have to give this a try soon as I have tons of bubble wrap that I save for mailing stuff. Hugs to you!!! WOW... Darnel, your Bubble Wrap cards are AWESOME and SUPER COOL!!! Thanks for sharing the tutorial, too! I'm so happy to hear your surgery went well and you're on the other side of it now! I wish you a speedy and complete recovery with big hugs!! 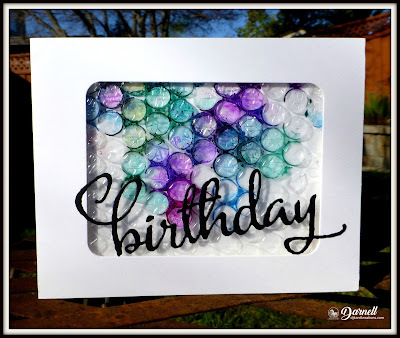 Your cards are amazing and I love how your bubble wrap looks with the bubble colors so close together. I think I needed tinier bubble wrap for that effect, but I took the challenge and jumped in and played along :) Thanks for your incredible generosity and kindness to your readers. I don't know how you manage to find time to create and keep up with commenting with all of your fabulous followers! You rock!! Pleased to see such beautiful and clever creation! You always come up with new techniques! So creative! Delighted to hear your surgery gone well! Wishing you a speedy recovery! Thanks for the opportunity to win such amazing prizes! Well that was fun using bubble wrap, what a great idea. Have entered and if I am lucky would love ANY of the prizes. Goodness! I need to go have words with my boss, because all this extra work almost made me miss my favourite challenge! Huge congrats on your blog birthaversary! And I'm very happy to hear you are recovering and the surgery went well. Had so much fun making my cards! Love to be in the running for GC, M or Z! I'm glad to read/hear you're getting better from your surgery. Who knew bubble wrap was such fun, apart from the popping and annoying everyone. Great cards, great colours and technique. Hope you are continuing to heal well dear girl. Had to come back and look again at your beautiful creations! I love that you used bubble wrap, it looks so cool! Hope you are feeling lots and lots better! Hugs! Sliding in at the last hour with a NBUS card. This has been such a fun challenge. I wish I could have made more cards! Thanks again for the chance to win some fabulous prizes. This week I have my eye on (M) Misti or (SB) Score Buddy. Hi, Darnell. I've entered a second card. Playing for the markers. Keep feeling good! I hope to enter a bubble wrap before the deadline. Darnell, so glad surgery went well, prayers for a speedy recovery. Thanks for an extra fun NBUS with techniques and such generous prizes. Drawing for Z, GC, GC please. Take it easy please. Thanks for the new NBUS challenge and for the chance to win some wonderful prizes. I would be happy with any of thm [ANY]. You have completely outdone yourself with these fabulous cards, Darnell! I love that you chose fun and vibrant colors to go with your bubble wrap...so cool!!! Thank you so much for another really fabulous NBUS challenge! Your generosity is truly appreciated, and if I should be so fortunate, I would like to win 'M'. Hope you're feeling better!!! Fabulous cards Darnell...love the colors and the designs you came up with! So glad to read you are doing well! whew. Gotta be able to keep creating you know! Take care! Thank you again, for these great challenges...and all the trouble you go to ...to do them. So glad your surgery went well and I hope you continue to heal with each day. Love your cards, fun and vibrant. I think the one with the actual bubble wrap is my favorite. Love the napkin card too. I've used napkins before on cards and am amazed that you were able to fussy cut as they are so thin when you peel apart the layers. I would be grateful for any of the amazing prizes you are so generously offering. I'm so glad to be able to participate in your celebration - congrats Darnell! 1st of all, I never even thought of using bubble wrap for anything but popping, so this was wonderful! Thank you, and your projects are stupendous! 2nd, did not know about the surgery, so sorry it was necessary, but glad you're on the mend. Bless you, sweet blogging friend. All better soon! VERY COOL!!!! I LOVE this idea!!! I love what you ended up with. Hope you're recovering nicely!! !